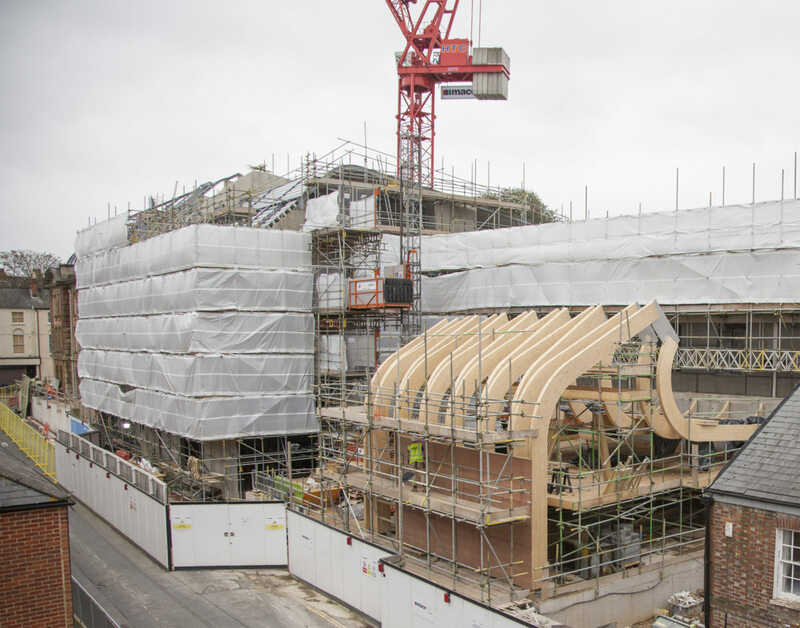 Glue laminated timber (glulam) framing at ABA’s Exeter College Cohen Quad has been erected, manifesting the volume of the theatre. This framing will be exposed on the interior. One part of the structure is hung from the other via metal plates which span a rooflight, hidden from audiences.